You could definitely tell something was going on at NEIU last Friday. If it wasn’t for the long lines that filled the Student Union’s hallways, it could be for the sense of excitement on the faces of the people waiting outside of the Alumni Hall’s doors. 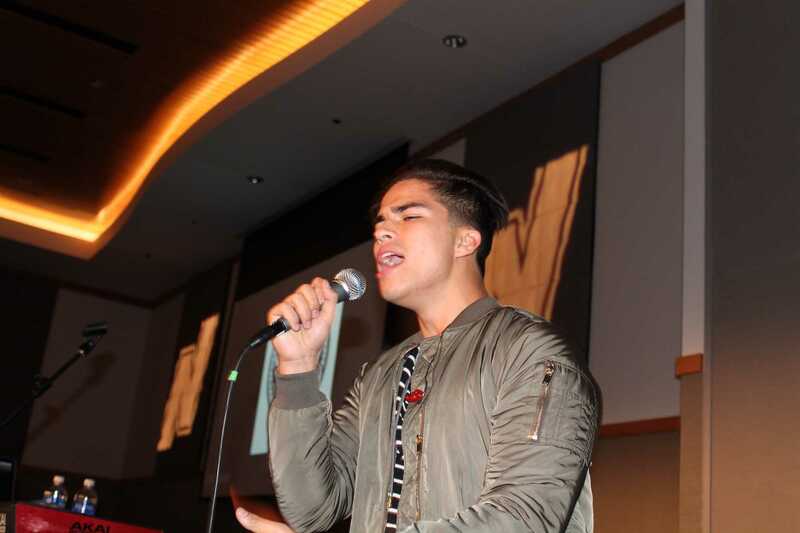 Alex Aiono, a 20 year-old rising YouTube star, was about to perform on campus, at an event organized by Student Leadership Development and sponsored by other NEIU organizations such as Northeastern Programming Board, the United Greek Council and the Council of Clubs. But that wasn’t all. Preceding the YouTube star headliner, the crowd could also enjoy the performance of two world dance competitors: The Puzzle League and The Future Kings. Both are Chicago-based hip-hop/pop dance companies that have taken part in the prestigious world contest and delivered an amazing show that included many different dance styles and engaged the public in an energetic act. On top of the music and dancing shows, there was also a contest organized by SLD to find the best dancer in the crowd, giving them the chance to win two free Chicago Bulls tickets to see the upcoming game against the Los Angeles Lakers at the United Center. The participants had to dance to the viral TZ Anthem (better known as Juju On Dat Beat). Even Aiono decided to take part in the dance off it against one of the students. The tickets for the concert were free for NEIU students and the public could purchase tickets for $10. The show sold out days prior to the event. Students from UIC, North Park, Wright College and Loyola University attended the event, which gathered more than 400 people at Northeastern’s Alumni Hall. The University also set up a bunch of geofilters on Snapchat to advertise the concert on social media, and Redbull offered to drop off drinks at the event to keep the crowd hydrated and hyped. After Aiono played most of his best covers accompanied by a keyboard (including recent hits such as “Fake Love,” “Black Beatles,” “Broccoli,” “No Problem” and “Let Me Love You),” he stayed in Alumni Hall to take pictures with all the fans that had attended the concert. The feedback from the public on the activity organized by SLD was highly positive, and all the artists said that they would love to come back to NEIU to perform so we’re really hoping to see them again soon on our stage!